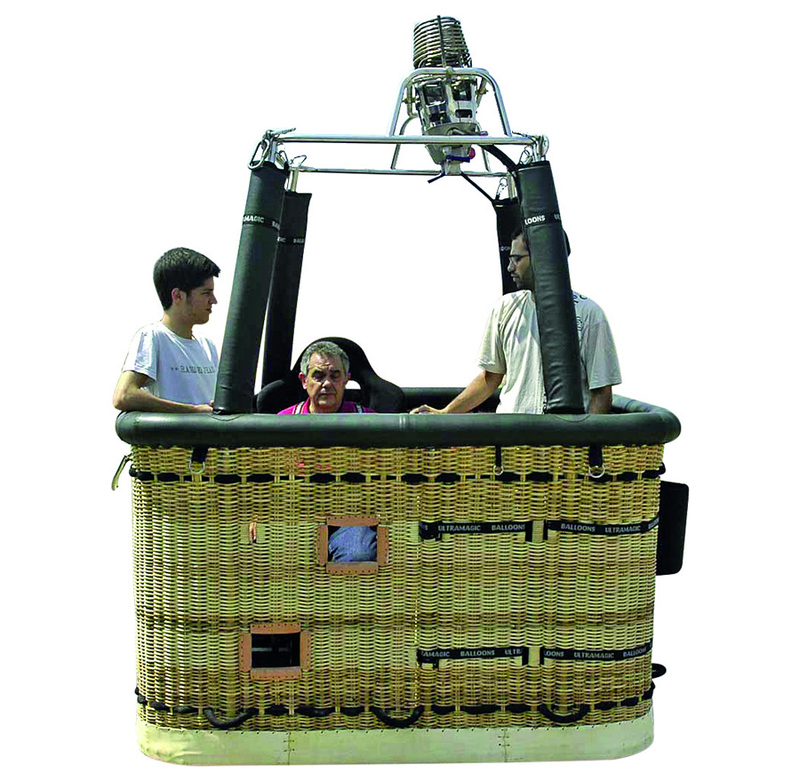 Making the fun and freedom of ballooning available to more and more people. 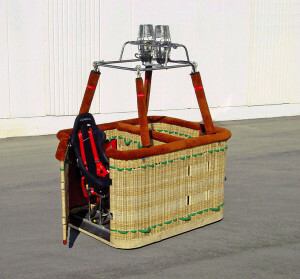 Many years ago Ultramagic looked long and hard at the special requirements needed for the growing number of people who had a strong desire to flybut were unable to use standard basket equipment. After a great deal of research and development Ultramagic set new standards and created an ultra secure and strong door system. This door opens freely to allow easy entry. When closed the 2 pole lock system with security attachments make it impossible to open the door accidentaly. This design system, when closed, gives a rigid structure able to withstand the hardest of landing. The door can then be complemented with a purpose designed floorwheelchair/seat attachment system.The door and floorattachment systems are designed to fitinto a large range of basket types and sizes. 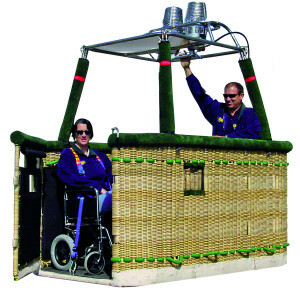 They can allow the use of either system in the same basket using aircraft seat attachment fittingssecurely attached to the basket floor.Depending on basket, more than one seat or wheelchair can be fitted.All seat or wheelchair systems can be easily removed to allow the basket to be used in a standard configuration.The easy entry door system can also be supplied without seat rail fitted. 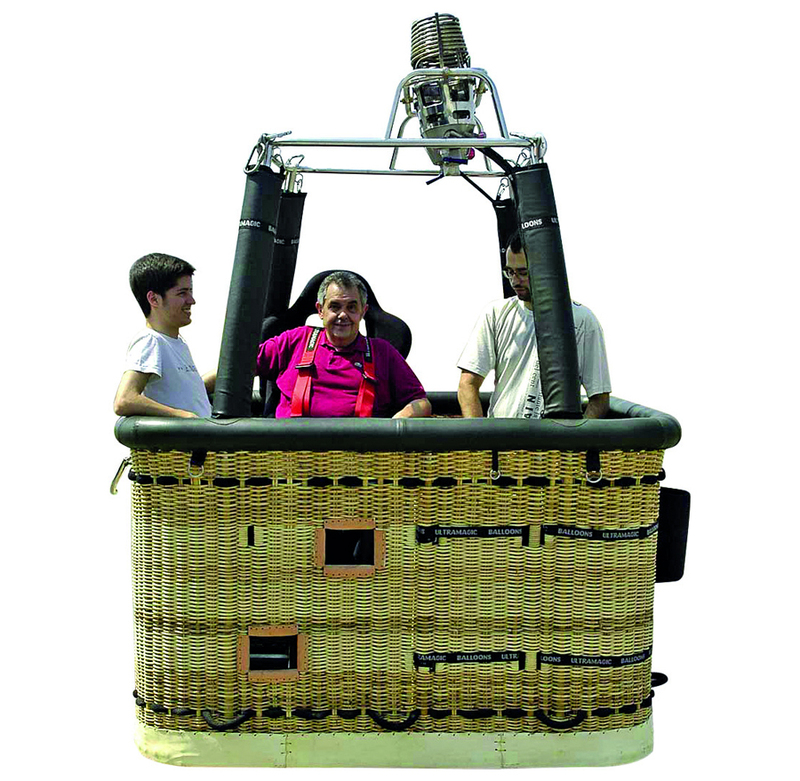 We have installed seats in baskets for many years but we recognised the need develop this system to improve the ride experience for the occupant. We are now able to offer electrically operated raising seats that allow full in-flight vision whilst the occupant is safely seated and secured in a seat harness. The seat can be operated by the occupant or remotely by a person supervising. The full height position allows the occupant to have the same visibility as a person standing. This system is fully certified and approved and is installed in conjunction with our easy entry basket door systems. It is installed in the basket using aircraft seat rail attachments and can easily be removed when not required. The opportunities to use this facility are many – comfort flights for the elderly or disabled, flight training for disabled pilots, long distance flights for older pilots! Once again Ultramagic leads the way forward in balloon technology.